Each year, the National Restaurant Association surveys nearly 1,300 professional chefs – members of the American Culinary Federation (ACF) – to explore food and beverage trends at restaurants in the coming year. The annual “What’s Hot” list gives a peak into which food, beverages and culinary themes will be the new items on restaurant menus that everyone is talking about in 2017. According to the survey, menu trends that will be heating up in 2017 include poke, house-made charcuterie, street food, food halls and ramen. Trends that are cooling down include quinoa, black rice, and vegetarian and vegan cuisines. The National Restaurant Association surveyed 1,298 American Culinary Federation members in October 2016, asking them to rate 169 items as a “hot trend,” “yesterday’s news,” or “perennial favorite” on menus in 2017. 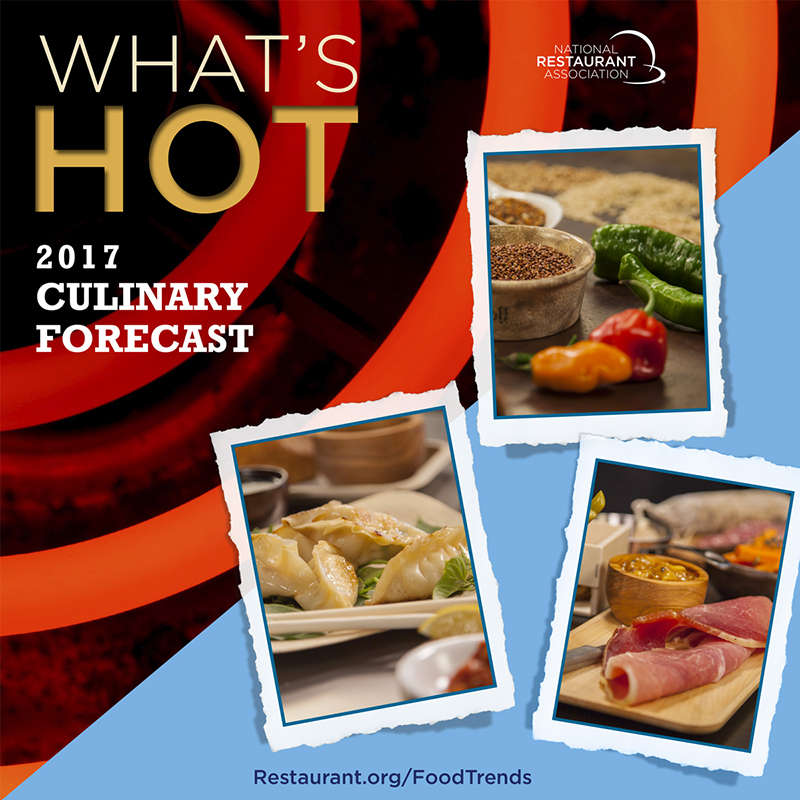 For complete survey results, additional trends to watch, video and downloadable graphics, visit www.restaurant.org/foodtrends.